A Real Mortgage Fraud: Pre-Bailout Bailouts! Recently by Gary D. Barnett: I’m Fed Up With ConstitutionWorship! How can the government slow or stop the bank and mortgage company bailouts that they have vowed to do, this to satisfy the duped voters, without actually stopping the bailouts at all? They can and are doing what I call a pre-bailout bailout. How in the world does this work? I don’t think there is much argument that the government sponsored and now nationalized enterprises, Fannie Mae and Freddie Mac, supply approximately 90% of all home mortgages in this country. Herein lies the problem. First, I will begin with an anecdotal account that epitomizes what is actually going on every day all over this country. Last year, I attempted to refinance my home mortgage locally. I was told that no appraiser in the area would appraise my house due to the fact that no comparables were available, so no refinance could be done. Fast forward to one year later, and my how things have changed. I wonder why? I went back to my local bank to once again attempt to refinance my loan, and the reception this time was much different. 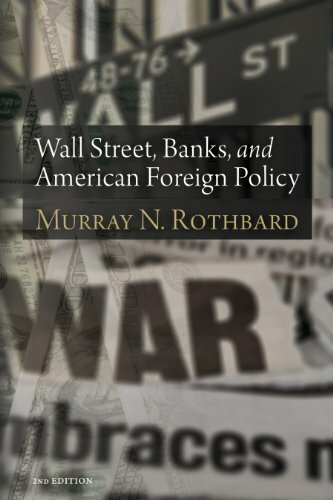 Wall Street Banks and ... Murray N Rothbard Check Amazon for Pricing. First, I was told that my bank would only be a facilitator in the refinancing process, but would not be involved or actually hold the loan. One of the "big six" as I call them, Wells Fargo, would actually carry the note. The next thing I was told was that no real appraisal would be necessary to complete this loan. The lender then asked me if I would be able to close this loan within two weeks. When all was said and done, no appraiser ever entered my home, and the loan was approved almost immediately. I am not a credit risk, but this did not seem proper to me given the very apparent adverse economic circumstances we face. The actual closing took place this September, and within 10 days of closing, a letter of notification of assignment from none other than Fannie Mae was mailed to me. This letter was sent to inform me that; "the ownership of your first lien mortgage loan has been transferred by Wells Fargo Bank, N.A. to Fannie Mae." Look carefully at this part: "The transfer of ownership of your mortgage loan to Fannie Mae has not been publically recorded." Also included; "Fannie Mae is a shareholder owned company with a public mission. We do not make mortgage loans but instead provide funds to lenders by purchasing the mortgage loans they make." You will have to excuse me here while I laugh out loud! This statement not only is ludicrous and false, but also is based on the assumption that all of us in the public are idiots! Oh, I see, they just hold and own all the loans and take full responsibility for them, but they don’t do the initial paperwork. First, where in the world does Fannie Mae get its money? They are trillions in debt, and are losing billions, so how can they do this? Does anyone dare to guess? This situation gets even better for the banks. The bank in question here, Wells Fargo, not only got paid up front to do the loan, but also gets paid by Fannie Mae for the life of the loan to service it. All this takes place without any risk of default whatsoever to the bank. In essence, they handle the paperwork, get paid up front, and continue to get paid for the life of the loan, and the particular loan is off their books immediately. Their reserve requirements are never altered, and all risk is eliminated and transferred to Fannie Mae. Talk about "stimulus" potential! This is in essence simply a transfer of risk to us lowly taxpayers. What a deal! Don’t worry though, because according to Tim Geithner on August 16th: "We will not support a return to the system where private gains are subsidized by taxpayer losses." Really? If this was just an isolated incident, then that would be one thing, but this scam is happening every day at banks all over the country. Most new mortgages and refinances are being bought and all risk taken on by Fannie Mae and Freddie Mac. This is a direct obligation to the taxpayer. 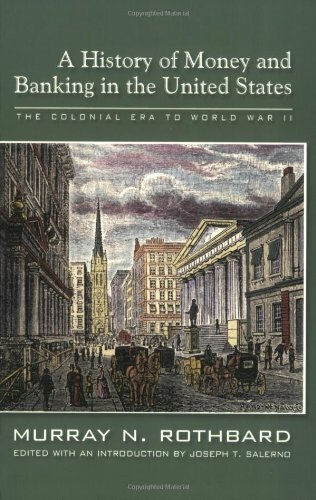 Keep in mind that the U.S. Federal Government placed these very corrupt and bankrupt institutions into conservatorship (nationalized them) in September of 2008, due to the sub-prime mortgage crisis. They were losing billions of dollars then and they are still losing billions of dollars now. They were bailed out, and hundreds of billions of taxpayer dollars have been "invested" by the Treasury to keep them in business. Is this being done to protect bank profits and eliminate their risk? Is this being done so that another housing bubble can be built to delay the inevitable collapse? Is this being done so that things won’t look as bad as they really are? In my opinion, yes, yes, and yes! Remember that the on- or off-balance sheet obligations of these GSEs is now over 5 trillion dollars; this not including all the bailout money given to them or the constant losses they continue to incur, so why else continue to support these failed corporations? I did speak with bank personnel directly and I asked them questions about this situation. I also spoke with mortgage brokers working directly with the banks to find out what was going on from their perspective. The back office at Wells Fargo told me that these loans are fully serviced by the bank, and that they are paid up front to do the loan, and have a "private" contract with Fannie Mae to service the loans once they are bought and transferred. I have to assume that this is the normal operating procedure of the rest of the banks as well. They refused to allow me to see this contract, so I am now attempting to get more information from the "Government Sponsored Enterprises." According to the mortgage brokers I talked with, Fannie Mae or Freddie Mac purchases immediately most every single home loan from the banks and mortgage companies. The banks know this going in, so are they going to scrutinize these loans properly, or are they going to push as much through as they possibly can so as to enhance their profit; profit I might add that is gained by them without taking any risk? If one is to apply logic where none obviously exists, and look at this situation critically, only one conclusion can be reached. 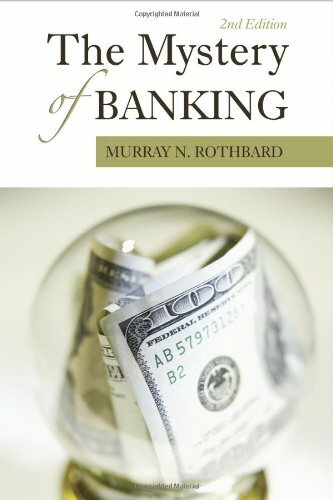 The banking system is using taxpayer monies delivered to them by the government through Fannie Mae and Freddie Mac, to make and service loans that carry no risk to them, but puts a great burden of risk on the citizenry. All the risk falls on the shoulders of the rest of us. This is why I call this situation a pre-bailout bailout. Any and all loans done in this manner carry absolutely no risk to the initial lender, and allow these same lenders to continue this scam for an unlimited amount of time. With no risk, why not? Each and every default will be the responsibility of us citizens, and the banks will continue to show a profit, albeit a profit captured by unscrupulous means. The effect of this is many fold, but the bottom line is that banks will look healthier than they really are and continue to pass off all risk, the losses and debt at Fannie Mae and Freddie Mac will be mostly hidden from the public, and the real estate markets will appear to be better off than is actually the case. This will probably continue at least until the "free" fiat money runs out and interest rates rise to where they should. At that time, watch out, as trillions of dollars in losses will be revealed. In other words, we will all pay for this one way or another! The federal government now owns and controls most of the U.S. mortgage market, so will the banks involved in this charade go bankrupt when this con game falls apart? No. But Fannie Mae and Freddie Mac will. So who will end up being responsible for all these losses that are sure to come? We will, you and I, but the banksters will still have their wealth, their massive homes, their yachts, and their private planes, while all the rest of us suffer in order to pay for it all! Gary D. Barnett [send him mail] is a retired investment professional living and writing in Lewistown, Montana. Visit his website.